Raspberry Pi Power over Ethernet (PoE) HAT (RPI3-MODBP-POE) is is a compact, single-sided accessory board for the Raspberry Pi 3 Model B+. 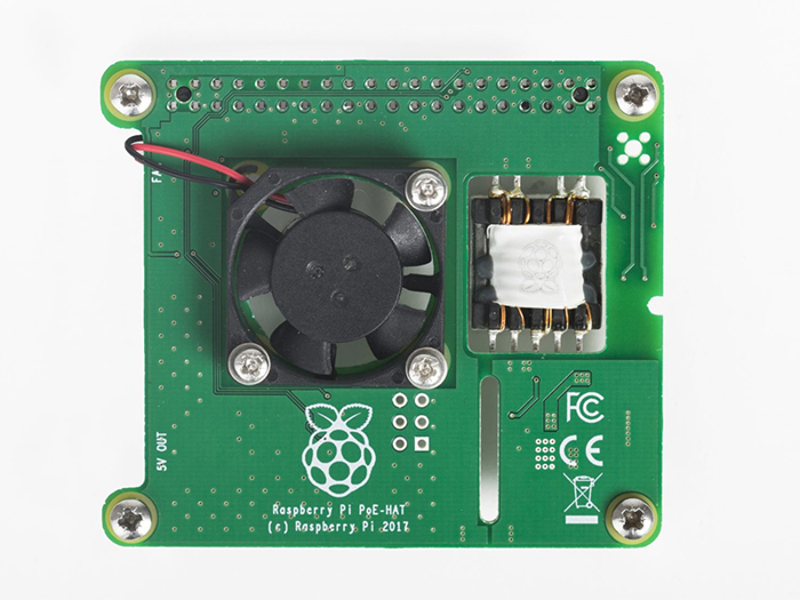 The PoE HAT connects to the GPIO header of the Raspberry Pi 3 Model B+, and allows the Raspberry Pi to be powered via a power-enabled Ethernet network, removing the need for a separate power supply. The PoE HAT will only work with a Raspberry Pi 3 Model B+ or later. An IEEE 802.3af compliant POE Injector, Switch, or Ethernet Router is required for use (not included).